Amber and Sara talk Christmas morning wake up time and rules for the day, plus the favorite items for stocking stuffers (Thank you, Target dollar bin!) And a Merry Christmas to you! OMG! How is Christmas already next week?! 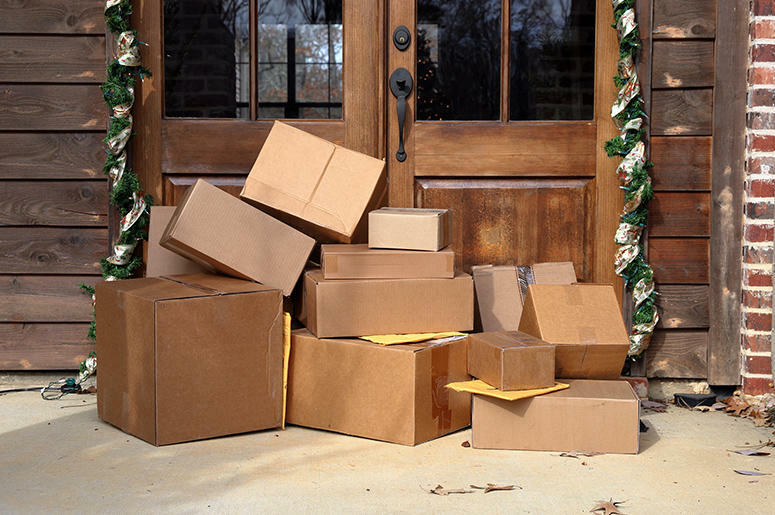 Time to finish up that Christmas shopping for any loved ones out of town you need to ship gifts to… Because you’d better get them in the mail soon. While for many the holiday season remains a joyful time to spend with family and friends, it can also be stressful. 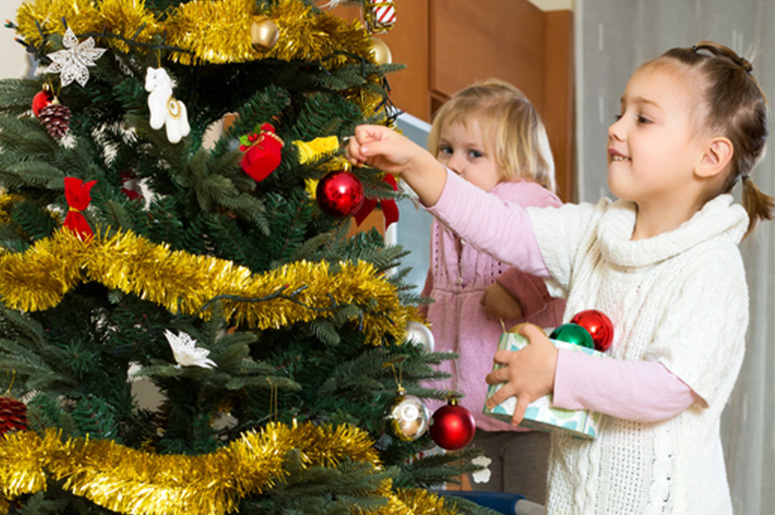 Purchasing gifts, entertaining, even arranging travel can sometimes ruin holiday cheer. This holds true for many military families as well. If you’re interested in helping a family in need this year, or if you are part of a military family yourself that needs assistance, check out this list of organizations. “Delivering the spirit of Christmas to military families—one Christmas Tree at a time.” Through generous donations, Trees for Troops provide free trees for military families all over the country. Last year, the organization donated and deliver over 17,400 Christmas Trees to 70 military bases and 250 trees to four international bases. Since 1947, the Marine Toys for Tots Program has distributed 548 million toys to date. Through the Marine Toys for Tots Foundation, less fortunate children receive toys during the Christmas season. Through donations from “Layaway Angels,” the organization travels throughout the country during Back to School and Holiday seasons to help families by pay off their layaway balance which often include gifts for children like books, toys, and backpacks. Junior enlisted military families have been able to enjoy over 320,000 toys and over 25,000 baskets of food for Thanksgiving and Christmas thanks to generous donations toward Operation Holiday Joy. Find your local YMCA branch here. While the organization has multiple initiatives throughout the year to support the military, during this time of year, Holiday Meals for Military and the Holiday Toy Drive are in full swing. Military families can register for the various distribution events throughout the year. Meal kits include turkey, gravy, cranberry sauce, stuffing, and vegetables. Follow Operation Homefront’s Facebook page to learn about the dates of their toy drive and how you can receive or donate to a military family. There are great Holiday displays of Light all over San Diego. We picked a few from North, South, East, and West to feature. Where is your favorite place to see Christmas Lights in San Diego? Carmel Mountain Ranch – Fairway Village, east and west sides of Stoney Gate Pl. 100+ homes decorated in “Holiday Magic.” Dec. 15-Jan.1, 5:30-10:30 pm. Poway – Hickory Ct.,Hickory St., Butterwood Ct., Rockrose Ct. All off Twin Peaks Rd. & Silverset St. named “Candy Cane Lane.” Entire cul-de-sacs are lit up. Dec. 8-24, 6-9 pm. Chula Vista – Whitney St./Mankato. Circle between First and Second Ave. off H St. & 1st Ave. “Christmas Circle.” 61st year of decorating 55+ homes. Dec. 8-26, 5-10 pm. El Cajon – Jingle Bell Hill (also known as Pepper Dr. Lights). Solomon Ave./Pegeen Pl. and surrounding area. Off 67 & Bradley. Dec. 8-26, Mon-Th, 6-9 pm, Fri-Sun, 6-10 pm. Clairemont Mesa – Lana Dr. & Jamar. Off Mt. Abernathy Ave. Circular street. “Clairemont Christmas Park”. 40+ homes decorated. Dec. 1-25. SeaWorld’s Christmas Celebration. SeaWorld is decked out with more than a million holiday lights and a 40-ft. tree with an animated light show. 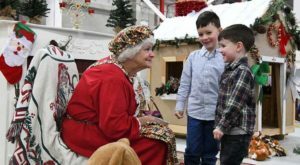 Also visit Rudolph’s Christmastown, check out holiday-themed animal shows such as Clyde & Seamore’s Christmas Special, Dolphin Island Christmas and O Wondrous Night, a living nativity performed nightly under the stars, told through the eyes of the animals. New this year is Rudolph’s Movie Experience featuring special effects such as snowfall and the aroma of hot chocolate-daily in the park’s Mission Bay Theater. Nov. 17-Jan. 6. Amber and Sara are comparing Thanksgiving notes…just what is the “Persion version” of Thanksgiving? Is it too soon to decorate for Christmas? We talk about when the holiday officially starts and Cyber Monday? We’re ready for it!